The fat loss industry is an interesting space. You’ve got the supplement guys and their magic pills. And of course, you’ve got trainers with zero experience and no real-world results claiming they’re a fat loss expert (on the Internet, of course). When it comes to fat loss training, I’ve made my share of mistakes over the years. But those mistakes have afforded me a newfound respect for fat loss training. My goal with this article is to help you create a system that will serve as the foundation for long-term, sustainable fat loss. Fat loss training these days is very focused on high-intensity interval training (HIIT) using glycolytic methods. Performed at a very high-intensity or work rate. As such, you work very hard for a short(ish) period of time, and then follow that up with incomplete rest. And let me be clear – there is nothing wrong with this type of training! If your goal is to maximize fat loss, especially for a specific time of year or a life-event, by all means – have at it. I won’t argue that if your goal is to maximize fat loss over a short period of time, this is the best way to go. However, just because this type of training can help you shed body fat, that doesn’t mean it’s the best option early on. Or that it’s the best option for every client. Or that it’s sustainable for extended periods of time. 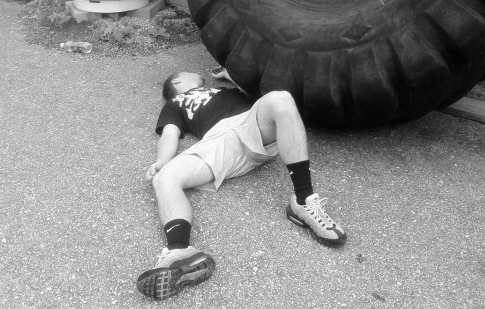 Like all high-intensity methods, consistently killing yourself, your clients or your athletes with this style of training can put you on the fast track to burnout or injury. 45-year old male, married, with a high-stress job and two kids comes into your gym. He has not trained seriously in 10 years, but wants to get back into shape. Do you need to put together the be-all, end-all fat loss training program right away? Is fat loss even the primary goal for you, as a trainer, in the beginning? Or would you rather build this guy an amazing base? Get him moving and feeling better? And hopefully help him live a happier, healthier life? These are questions I want you to start asking yourself. Sure, you want him to lose body fat, but maybe there is a better way that gives you long-term, sustainable results? I know my viewpoint is probably the exact opposite of what you’ve learned in the past, but being popular and following the crowd isn’t high on my priority list! 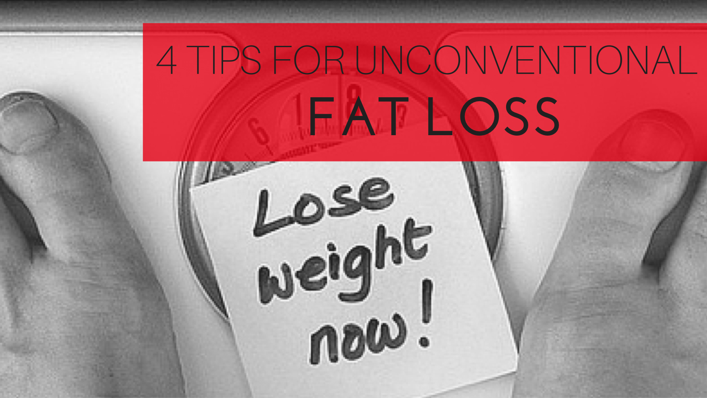 If you’ve ever though there might be a better way to lose fat and keep it off, or are looking for more appropriate methods for beginning fat loss clients, then these four tips will definitely help. When a newbie starts lifting weights, you can use as little as 40% of their 1-repetition maximum and see changes in strength. You don’t need heavy weights to get strong initially, because doing anything provides a stimulus that their body tries to adapt to. If we can agree that low-intensity methods are great for a newbie strength trainer, why do we feel the need to smash someone with their energy system training and conditioning on Day 1? Just like low-intensity strength training can create positive adaptations, so too can low-intensity aerobic training early-on. At IFAST, we put a premium on low-intensity aerobic training early-on in our clients’ training. Helps relieve anxiety and stress, improves sleep quality, etc. Instead of killing someone with glycolytics and high-intensity lactic training on Day 1, we’d much rather teach them how to strength train appropriately and then do long-duration, low-intensity cardio on their off days. “But what about HIIT?” you say? No one said we can’t use HIIT, but we’re going to alter the parameters just a bit. When it comes to fat loss training, everyone and their mother can tell you that high intensity interval training (HIIT) is king. I mean, if every popular website in the history of ever said it, it must be true, right?!?!!? Do you need to bring out the bazooka that is glycolytic training right away, when lesser methods will absolutely get things rolling? I don’t think so – and that’s why I’m such a big fan of what we call alactic-aerobic intervals. The alactic, or ATP-CP system, can provide you with energy for 8-9 seconds. This is our bodies’ fastest way to create energy, but it’s also incredibly limited in its resources. In an alactic-aerobic interval we utilize our fast-acting ATP-CP energy, and then rest to refuel energy stores. 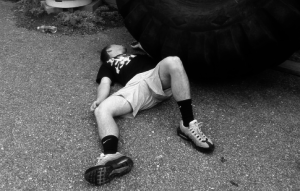 This method is fantastic for getting someone to “feel” like they’re working hard, without tapping into the lactic system and putting the total-body beat down on their system. If all you’ve ever prescribed are glycolytic intervals in the past, give alactic-aerobic intervals a shot. Chances are, you just might like them! When someone wants fat loss at IFAST, one of the first things we look to address is their sleep, recovery and nutrition. As trainers, it’s very easy to think of everything through the lens of training. Hell, I’ve done it myself, especially early-on in my career. 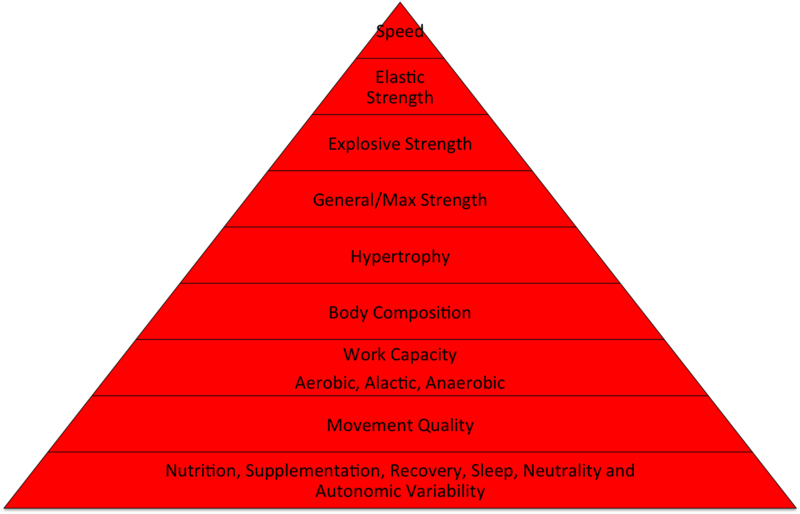 However, virtually every fat loss client you’ll come across has issues at the bottom of their Performance Pyramid. Why are we focused on the most elite training methods known to man, when our client is shoving Pringles and Double-Stuffed burritos down like it’s their job? Why do we slay them in the gym, knowing full well they’re only sleeping 3-4 hours per night? Now obviously this goes way beyond the training aspect of our job, but I’d posit that for our fat loss clients this needs to be the first and foremost discussion we have. Quite simply, we need to help them prepare for training first. We need to give them the ability to recover and adapt from a training session, before we go about actually training them. Fat loss clients, perhaps more so than any other client you train, need a definite focus and building of their foundation first. Addressing this early-on will develop the optimal environment for recovery, both now and in the future. One of the biggest issues I see with fat loss clients is that they really don’t want to do their conditioning at the end. Like, they’d rather have a root canal (without anesthesia) than do their conditioning. As such, they find every excuse in the book to get out of it or bail early. To nip this in the bud, I’ll often front-load the energy system training for fat loss clients. Instead of doing all their strength training and then doing conditioning, we’ll do conditioning first (using the alactic-aerobic method), and then perform the strength training workout. While it may take a week or two to acclimate, my clients love this style of session. What I often see is they go from dreading their conditioning to attacking it. It’s a huge shift in mindset, and really sets the stage for the rest of the training session. Whenever I’ve had a fat loss client that had a tendency to skip out on their conditioning work, I’ve moved them to this program layout. And every single time (so far), it’s worked like a charm. Fat loss training is not a one-size-fits-all approach. While an elite athlete, or high-level fat loss client may need very high-intensity methods to get to the next level, most of our average everyday clients do not. On the contrary, developing the aerobic energy system, dialing in proper nutrition, and putting an emphasis on rest and recovery can set the stage for a life of health, well-being and improved body composition. Utilize one (or all!) of these tips in your next set of training programs. I think you’ll like the results! P.S. – If you’re interested in learning more about program design, then please check out my Physical Preparation 101 DVD series. It’s on sale through this Friday at midnight, and will give you a better understanding of all the variables you have at your disposal! Sure. There is no sense cranking the wheel when minor course corrections are all that’s needed. For clients who are not at risk right now, and looking for general improvements, you could risk scaring them away before you get a chance to help them. I would even go so far as to say that easing into any program is always more sustainable than the whole losealltheweightrightnow! approach. Great tips Mike. Really like number 4. I’m going to give that a roll. Mike, you are absolutely brilliant. My approach to conditioning has changed drastically because of you. This concept of alactic-aerobic intervals is brilliant. 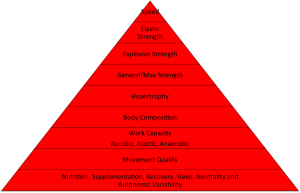 I was concerned that practicing explosive movements (ballistics, plyometrics, sprints, etc.) on off-days would not be conducive to aerobic conditioning, but these intervals are a PERFECT way to allow them to be. Thank you!